Forget the high-end life of large cities like Jacksonville and find comfort in a small, charming town like Sneads Ferry. Receive southern hospitality while moving and find welcoming neighbors to become friends with. They’ll be sure to take you to Topsail Island, where you can swim in some of North Carolina’s best beaches. Camp Lejeune is also located nearby, giving you easy access to your work commute if you’re stationed at the base. 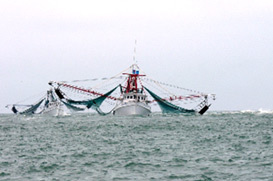 Every year Sneads Ferry celebrates the fishing season with the Shrimp Festival. Eat and support the local fishing market while getting to know the town. Real estate in the area includes beautiful single-family homes to cozy canal houses. So come on down, enjoy our fresh seafood and relaxed atmosphere. Search Sneads Ferry Realty and Homes For Sale!